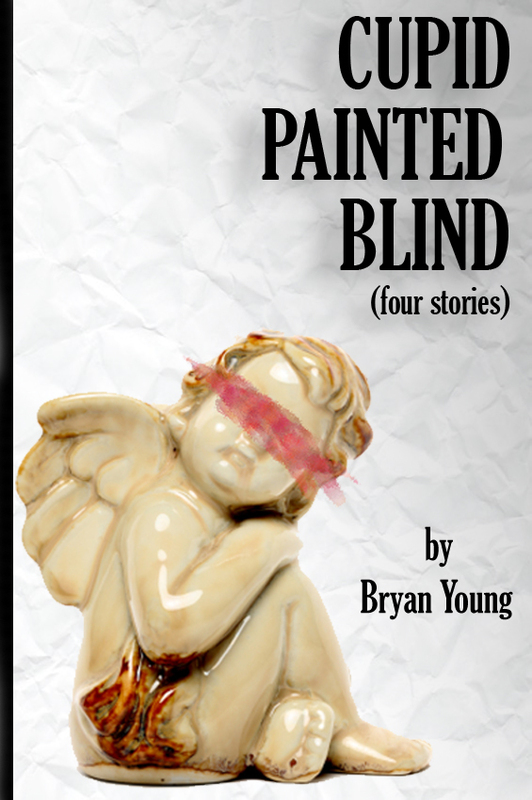 First off, I'd like to let you know that there is a new collection of shorts available exclusively for the Kindle called Cupid Painted Blind. It contains four stories that longtime readers of the site will recognize: The Missed Opportunities of Days Gone By, A Friend Indeed, Cupid Painted Blind, and Some Wintery Reminiscence. If you're interested in supporting me monetarily, you can pick it up for $2.99, though if you want to wait until next week, I'll be doing a giveaway promotion and you can support me by reading and reviewing it. Second: I got a PDF of the essay I contributed to in Disinformation's You Are Still Being Lied To. You can check out the piece that I wrote (with Elias Pate and Steven Greenstreet) here, but you should check out the entire book. It has incredible and enlightening essays from guys like Douglas Rushkoff, Howard Zinn, and Noam Chomsky. Quite august company to keep. Here's the PDF of our contribution: Cheap, Crappy Food = A Fat Population. This was written on the heels of the documentary I produced, Killer at Large, which was about the American obesity epidemic. Look it up on Netflix. Lastly, I want to thank everyone for coming to the signings on Saturday at Eborn books. I met a lot of great people and it was great to see people showing up to pick up my work. The big sellers were God Bless You, Mr Vonnegut (which was the first time it was available) and Man Against the Future, which makes sense given the crowd and the people I was signing next to. That in itself was an off experience. I was signing books at the same table as Dave Farland who used to write Star Wars books as Dave Wolverton. And the first book I ever had signed was his Courtship of Princess Leia. To be sitting at a table signing books next to him almost 20 years later was an odd experience. Just as he was then, he was a terribly nice and encouraging guy. I would be remiss if I didn't also mention that I signed with L.E. Modesitt and Paul Genesse who were both very great. It's always great to get together with writers and talk about writing in a way that you can't get anywhere else. We all have a different perspective on things and it recharges your batteries to do it. Stay tuned for more stuff coming up later this month as well! And don't forget that Anime Salt Lake (of which I am a guest and conducting some panels on writing and publishing) is in just a couple of weeks.